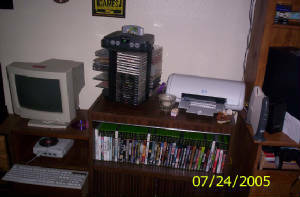 ______________________________________________________ This a picture of my N64,Xbox games and CD holder with DC games, Saturn games, and PSone games. 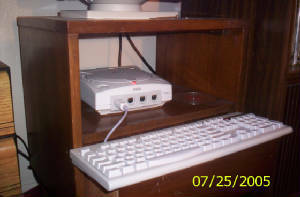 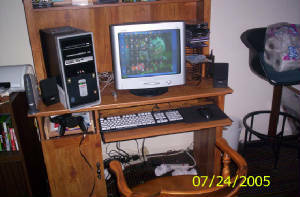 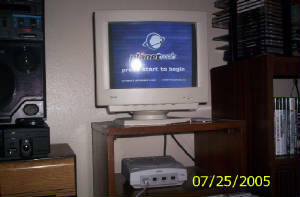 This is a shot of my XBOX and the sound system i use for my Dreamcast (since you need a speaker with the VGA Box). 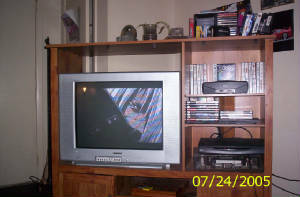 This is my 31 in Flat screen, Sega Saturn with games, PS2 in the middle with games, satellite receiver and a very ghetto looking VCR. 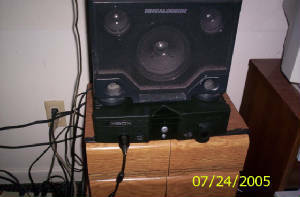 This is a closer pic of my XBOX and the sound system for the DC. 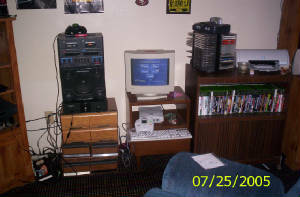 ........and this is me, FreshCut_T70 for all those at Xbox Live. 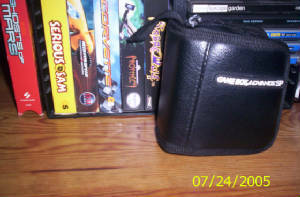 This is my GameBoy Advance with some games.